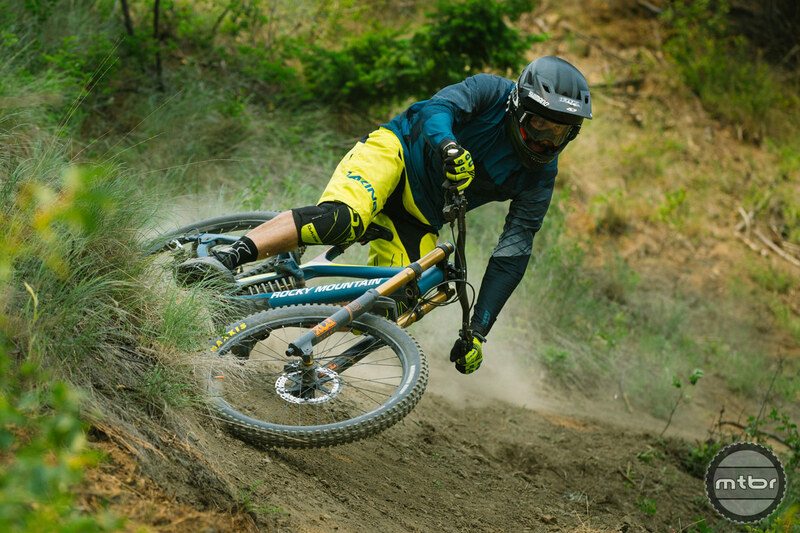 Versatility is the name of the game for Rocky Mountain Bicycles’ new downhill bike called the Maiden. It is built around 27.5 wheels but it will accept 26er wheels with little compromise. With an adjustable rear dropout height and headtube spacer to dial in head tube height, the Maiden’s geometry can and/or bb height can be adjusted to handle wheelsize used or the task at hand. The frame is carbon fiber and it even has internal Di2 capability. The bike uses their Smoothlink patent – which places the chainstay pivot in front of and above the axle. The Maiden uses bearings on all pivot points with no bushings employed. The main pivot and rocker pivot use massive bearings – the same ones used in the press-fit bottom bracket albeit for durability and lateral rigidity. http://www.vimeo.com/135163991 A collaboration between Thomas Vanderham, Anthill Films, and Matt Miles to produce the launch video. 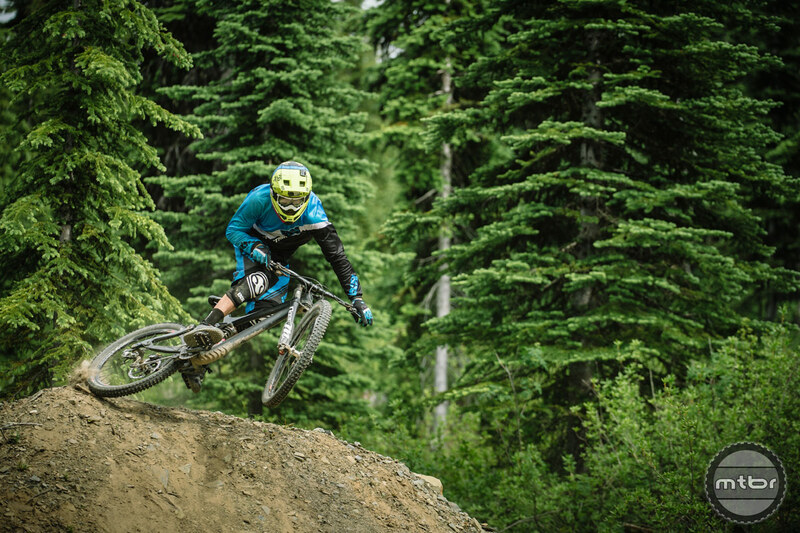 Shot on a custom built trail in Merritt, BC, Maiden Voyage is three minutes of all-killer-no-filler, putting the bike through its paces properly. Chainstays are short at 425 mm or 16.7 inch for either 27.5 or 26er wheel sizes. Ride 9 adjustable geometry is employed so head tube angle is adjustable from 63 to 63.8 degrees. BB drop changes too from 9.5 to -1.3mm. Weight is 37 lbs for the Pro model and all suspension is handled with BOS suspension from France. Travel is 200mm front and rear.